Frontline Security Solutions has won the 2018 C-CURE Partner of the Year Award. 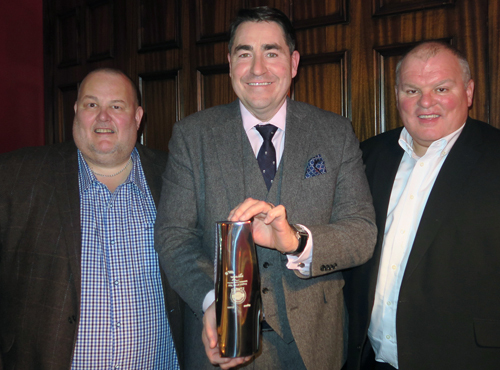 The Award was presented to Chris Masters, Director of Frontline Security Solutions, by Gordon Morrison, GB Sales Director for the Tyco access control and video brands, at the C-CURE Enterprise Partner Appreciation Dinner. It was also announced at the dinner that the Project of the Year Award has been won by Total Security Protection (TSP). 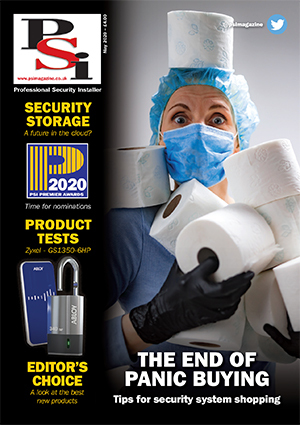 “We were delighted to acknowledge the contribution Frontline Security Solutions and TSP are making to the ongoing success of our C-CURE 9000 access control and event management platform,” said Gordon Morrison. “The expertise of these two award winners, as well as all our other certified Enterprise Partners, is ensuring that our mutual end-user clients are able to achieve maximum value from their investment in C-CURE 9000.